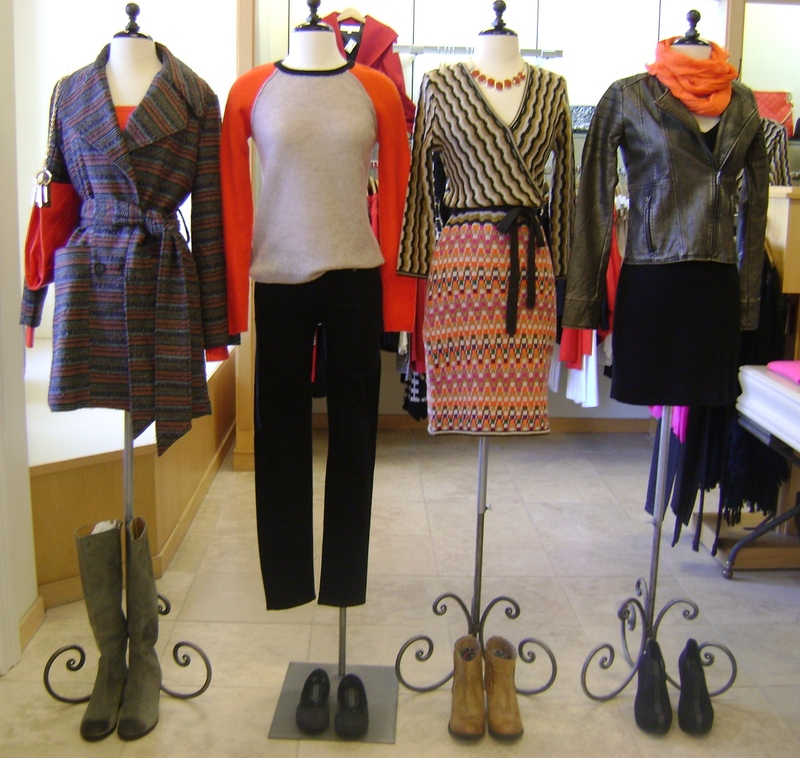 …Coat by Jack by BBDakota, purse by Elise M., sweater by Velvet, black slim cigarette jeans by Seven for all Mankind, dress by Trina Turk, jacket by Jack by BBDakota, dress by Velvet, scarf by Spun Scarves. Boots and shoes by Kelsi Dagger, Seychelles and Melissa. …colorblock dress by BCBG, one shoulder dress by ERIN by Erin Fetherston, dress by Trina Turk, tie neck tank blouse by Michael by Michael Kors, ponte/faux leather mix leggings and red blazer by BCBG. Shoes by Melissa, Kelsi Dagger and boots by Corso Como. 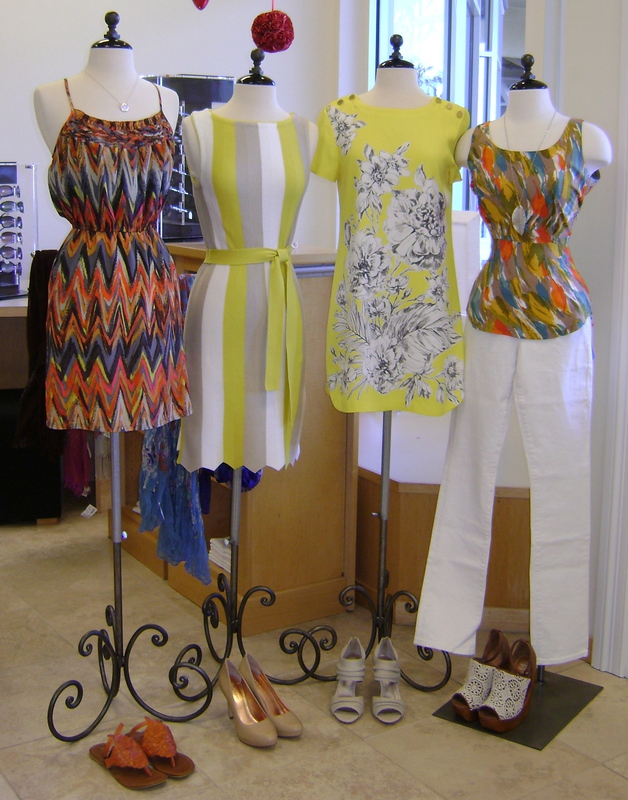 What’s in the Window this week at Bella…top by Line & Dot, denim shorts by Joe’s, paisley top by Trina Turk, mint denim by 7 for all Mankind, hi low dress by Red Haute, wrap dress by Trina Turk. Shoes by Jeffrey Campbell, Melissa, Matisse and BCBGeneration. Why not treat her for Mother’s Day?! What’s in the Window this week at Bella…top by Trina Turk, denim by Hudson, maxi dress by BCBGeneration, stripe sweater by Charlotte Tarantola, colored denim by Joe’s, maxi dress by Charlie Jade. Shoes by Jeffrey Campbell, Seychelles, Kelsi Dagger and BC. Jewelry by Jules at Bella. What’s in the Window this week at Bella…flame print dress by Charlie Jade, stripe knit dress by Trina Turk, floral shift by Juicy Couture, tank by Jack and denim by Citizens of Humanity. Shoes by Coconuts, BCBGeneration, Isola and Jeffrey Campbell. Jewelry by Jules at Bella.